Though more than 100 of the strange objects are known to exist, their purpose remains a puzzling mystery that has perplexed archaeologists since their first discovery. All throughout Europe, small geometric objects known as Roman dodecahedrons have been recovered. 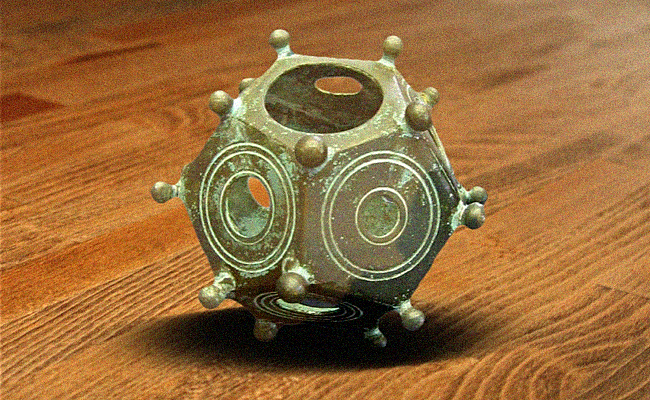 As far north as Wales, and further south toward the Mediterranean, the dodecahedrons, usually made of bronze or stone, are seldom larger than about eight to ten centimeters in size. So what was their purpose? Part of what has led to their mystery has been the speculation surrounding their use, as no classical accounts or narratives seem to mention them, let alone offer any explanation for what purpose they may have served. Among the leading theories about their practical use, archaeologists have guessed that they might be everything form gaming objects similar to multi-sided dice used in modern role playing games, to items intended to hold candlesticks or other objects. Others have speculated that they may hold religious or cultural significance, and some have gone so far as to presume they could have been useful in determining the proper times for planting various crops throughout the year. 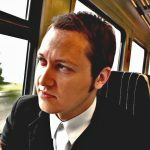 In many cases where perplexing ancient mysteries are observed and considered by modern science, we tend to project complex scientific possibilities onto the circumstances, leading to wild speculation ranging from things like “ancient alien theory” to ancient power plants nestled within monuments like the pyramids. It is not always demeaning to suppose that in many cases, there could be a simpler explanation… and indeed, one that could have been far more practical to the ancient way of life. And for one man, this kind of practical thinking led him to finding a unique use for the Roman dodecahedrons… as well as a possible solution to their creation in ancient times. In the video above, YouTube user Martin Hallett offers his own thoughts about what the Roman dodecahedrons might have been used for, demonstrating a fascinating potential solution to their design… and an interesting, but creative outcome as well. Using a 3D printer, he had a scale replica of one of the dodecahedrons made, and then went to work experimenting… with string. Is this truly what the mysterious Roman dodecahedrons were meant to do? What are your thoughts? Share your ideas in the comments section below, or if you think Martin may be onto something, you can even share this article using the social media buttons directly below this post. Tagged ancient mystery, artifact, Europe, Roman dodecahedronscomment95 Comments on Has The Roman Dodecahedron Mystery Been Solved? I doubt the Romans used this to make gloves specifically, but obviously this is most probably a knitting loom, versions of which can be purchased today in any craft or yarn store. These allow a crafter to create yarn tubes in variety of diameters for widely varying purposes. I doubt these were used for knitting i-cords…there are only five evenly-spaced posts for each different sized hole…it doesn’t matter what size the hole is, only how many posts there are, so to make a larger tube, there would need to be more posts….. so as you even saw on the video, all his tubes where the same size and way too small for a grownup hand. These objects came in different sizes, which could be used to make different sized gloves. I agree this on produces a glove too small for this child’s hand, but a slightly larger one would work. More posts would produce a warmer glove, but you couldn’t make a handy dodecahedron then. You could fiddle around with yarn thickness for a somewhat better result. I know I’d rather have a glove like this than no glove at all. I’m a blacksmith and metalworker. These devices would not be easy to make. They would be very expensive items in Roman times due to the amount of time a highly skilled craftsman would have to put into its creation, as well as the cost of the metal. In order for something so expensive to be used for something as common as gloves, it would have to make the process something like 10 times easier than the alternatives. There are people here that know how romans made items like socks, and it was not with something so expensive as this device. On the idea that it only has 5 knobs, it would be trivially easy to double that to 10 knobs per side by adding an extra knob in the middle of each edge. They are just small balls that have been brazed onto the corners. Adding more would be easy and not add much to the otherwise high cost of the item. 10 knobs would make a far better weave as I understand for a glove, but yet not a single example has been found with anything other than 5 knobs per side. When we look for modern weaving looms with knobs, what do we find? 100’s of different shapes and configurations for making all sorts of different shaped products. But yet, no one in modern time has made and sold a dodecahedron as a knitting loom. But yet, the argument here, is that the Romans, ONLY used dodecahedron knitting looms, and made no other shapes at all over a 200 year period where these were known to have been made and used? It’s a very weak argument. In addition, the large majority of these that have been uncovered in an archaeological context, were found in military camps. Why, would these items only be used in military camps of making gloves? Just how many gloves to you think they were making in military camps, and not in the cities and towns? The glove argument is made even more weak, by the strength of the hypothesis I’ve been making that they are gauges for assisting in the carving of Ballista balls. Adding extra knobs in the middle of each edge would mess up the spherical geometry of these for using as spherical curve gauges unless the extra knobs were correctly smaller. But having to make half the knobs smaller. Can’t be used to weave anything because it has no holes on most sizes. But yet, works perfectly as a sphere gauge. It takes a different design approach to fit different sized spheres by making every post a different size, instead of making the posts the same, and adding different sized holes in each face. Making the posts different sizes would be nearly impossible on a dodecahedron becuase the 5 posts for each face would all have to be perfectly sized to fit the same sphere. But with this icosahedron each size has 3 corners, so between the 3 corners and the forth point being the face of the side in the middle, it’s guaranteed to always perfectly define some sized sphere. (any 3 points defines only one plane, any 4 points defines only one sphere). Gloves were pretty expensive back then. Anything leather was and gloves had to be made from especially soft leather and were labor-intensive to make. As an engineer i think your thoughts about it being a gauge makes a lot more sense than it being a knitting device. Wonder if anyone can tell me what the exact seizes of these holes are or is there a regular increse in seizes. Furthermore are the smaller holes in the bigger dodecohedrons equal to the larger holes in the smaller dodecohedrons , in other words ,do they represent standard seizes. i agree that these are not primarily made to make gloves. needle-sewn or naalbinding gloves were much easier than working thread off of those balls, and required only a needle and wool. knitting wasn’t around yet. i can come up with several uses for these objects, none for the balls except ornamentation or to keep it off of a surface [i.e. feet]. most likely draw plates for wire braiding or weaving [trichinopoly], or ring gauges. maybe draw plates for wooden shafts. make gloves like that? Or anything, for that matter? You can make a 3-5 stitch tube just like this on your hand much much faster, and as evenly. In the picture, it seems upside down to me and looks like it was made to be a cone incense burner. Invert and place the largest hole over the incense cone and the smoke wafts through each of the side holes in the dodecahedron, making a unique pattern. What a joke you use your article as way to say that Power plants in a Pyramid is made up. I really doubt anyone knows anything about what Romans were doing. Just like Egypt. Your whole write up shows me you don’t understand School of Mysteries you haven’t investigated anything and your just like a tool of major main stream science and media. You fail at knowing Sacred Geometry. You’re a joker if you think there were power plants in pyramids. Um, no. Not everything in the world is a cover up of something else. There is no value to your “School of Mysteries”, Sacred Geometry is about as realistic as Santa Claws. As someone who actually regularly tests thing just because I’m bored, I’ve grown to rely on the scientific method. That’s the same method main stream science uses, by the way, and it works pretty well. I thought they were extinct! More useless info. Used to weight the corners of fishing nets for casting into water. Simple. Today, I asked my spirit guide what these mystery iron items were used for … and I got “Fishing Nets” – Tools … like how they use the glass spheres with rope around them for floats on their fishing nets … they also would use these as weights and with the holes on all sides they could tie the nets together easily. They could untie easily as well. Sorry, but I doubt this object was used to make gloves. The key factor here are the knobs which determine stitch gauge. They are too large and too few. Simply put, the resulting fabric would not have provided warmth. In addition, I believe knitting does not date back to Roman times. While I watched the video, all I could notice was how awkward it was. I kept thinking that just because you can do something with it, it doesn’t make it so. Knitting (or at least a form of it) actually dates back to the 300’s. Extremely detailed work has been documented in Egypt as early as 1000. Very few samples survived though and it’s believed that once a knitted article began to fray it was pulled apart for it’s yarn to be reused. Knitting cannot be dated earlier than 9-1200 CE. The earlier things were nalbinded. In the period that these balls were made, nalbinding was used, which makes a fabric that looks like knitting, to the novice, but is a different technique. It is also warm and dense, so it is very unlikely that this was used for making loose, holey, sloppy gloves, but rather nalbinding would be used. They could have been used as looms to “knit” fish-nets; it would be a lot easier and quicker than using a netting-awl. ,,,And of course, when there were plenty of nets, it could double as a pan-warmer with a lamp/rush-light/candle inside. very similar to something called ‘French knitting’ therefore a plausible. Could be node for building shelters? different sized holes accept different sized poles; the dodecahedron shape allows for flexibility in the shape and size of the tent, allows for building drying/storage racks both inside and outside of a tent. The person in the video did this the hard way, binding off each row and creating all five fingers at once. I agree that it’s a tube-knitting bobble, but one would knit one finger at a time, and just loop the yarn over, not pulling the yarn through with a needle. I agree that this was a mystery because the folks discussing it were archaeology majors, rather than knitters. I’m an expert knitter. How can you make 5 stitches (the number of little balls around the holes) be anything other than loose and holey? There is just no way you can make good gloves with this thing. The vast majority of expert knitters on Ravelry (the biggest site for knitters) have agreed that this can’t possibly be for glove knitting. The Romans knew how to do nalbinding, which makes great gloves, after all. Yay! As soon as i saw “five holes, SMLMS” and “in norther Europe in wool bearing areas” i knew what was up. Don’t knit or crochet but have sewn over 30 years, i’ve seen a number of various templates for making various tubes. Actually, if these were thrummed with roving and felted, they would be fairly decent gloves. I suspect the wide spaces were interwoven with more yar or,even leather strips. That’s what I would do. I think they were used to sort out standard sizes of pipes or poles foe construction. But apart from the smaller diameter little finger and the larger diameter thumb, the three centre fingers don’t differ significantly in diameter for more then jewellery making, glove making purposes would not be taken like that, more a S, M, M, M, L? However, a person’s hand size can differ greatly in size that another person? These objects come in different sizes. Apparently they range from about baby hand to about big man hand – no bigger, no smaller. Good guess with the knitting loom idea. But it strikes me as a weak guess. There’s no reason or need to have holes of different sizes. Fingers are all the same diameter or very close to the same. They vary in length but not so much in diameter. If you wanted to knit tubes of different diameters, one would need a different number of pegs around the circle, not the same number of pegs so even the idea that it was for different sized tubes doesn’t explain why they would want ten sides, all with 5 pegs. In addition, how do you know how long the fingers are when they are inside the device? How do you know when to stop knitting when you can’t see how long the finger tube is? Again, this is just not a good tool for knitting gloves. In addition, if all you wanted to do was knit gloves, you could make a better device out of wood with 5 holes on it instead of this highly complex 12 sided device. Good guess, but poor fit with the facts. Fingers among family members, between men, women and different ages of kids are very different. I’ve not heard of these until yesterday when I saw this article, but I have what I think is a much better guess. I think it’s a ball gauge used for carving balls or spherical surfaces from wood or stone. Each face, with it’s different sized holes would perfectly fit a sphere of different diameter. The larger the whole, the more curved the surface must be to fit it, and the smaller the diameter of the sphere. One of these, could be used to carve balls of 12 different diameters. Carving a sphere by eye, when you don’t have a lathe for example, is easy to get it roughed out, but likely very hard to find the high spots to turn it from a rough sphere, to a highly accurate sphere. This tool could be used to check the curvature and find the high spots that needed to be carved down a little further and end up with an even and consistent curvature of the entire sphere. This use explains why the tool has knobs all over it. It explains why there is a wide range of hole sizes. It explains why it’s dodecahedron. That is, the dodecahedron is the largest regular polygon. That is, if you start with a flat plate of fixed size, you can 3 sides, 4, sides or 5 sides. Triangle plates would form a 4 sided pyramid. 4 sides would form a 6 sided square, and 5 sides forms the 12 sided dodecahedron. 6 sides forms a plate when you put them together, and not a volume. So a 12 sided dodecahedron is the largest accurate volume you can form, using multiple plates all of the same size and shape. It’s the largest complex volume you can create with high accuracy, with only a compass and straightedge. can’t be used for making gloves. But it can be used for the purpose I describe here. Instead of using holes in each side to vary the concavity of the gauge, they made all the posts a different size to create the same effect. Note also how the sides are curved inward — consistent with the entire idea of the device being used to check spherical curvature. Not how it’s decorated with lots of circular art as well. Again, constant with the whole theme of the device being a “ball gauge”. I like the idea of a gauge, perhaps for ancient Bocce balls. I wonder though if its for measuring something that already exists for standardisation for trade – like nuts or eggs or chunks of ore or precious stones. Perhaps something that isn’t measured well by weight – like Amber or Salt Crystal. My only other thought was that its upside down and is a melting tool for ice (using a taper in place of wood). But it may be a bit over engineered for that. A dodecahedron is a twenty-sided object, not twelve. Sorry, 20-sided is called an icosahedron. Dodecahedron is a 12-sided sphere. 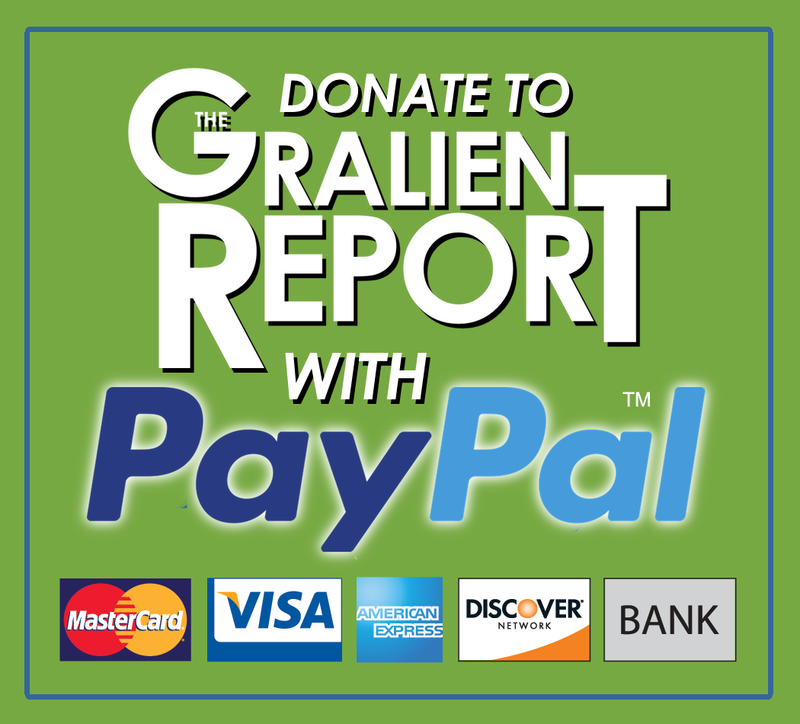 Very interesting – if nothing else, it works! The dodecahedron allowed the artisan to use one loom for multiple diameters. Except, when using a loom like that, the hole DOES NOT CONTROL the diameter of the tube. The spacing and number of studs do. So there would be no reason to have multiple sized holes, when all the studs had the same spacing and count. There’s also no reason to have 12 sides, when making five finger gloves. The whole idea that was used as a loom makes no sense when you look at the details, even though it’s very similar to these sorts of looms. If you wanted a loom for making a glove, it would have 5 holes, not 12, and would not be spaced to match real human fingers on a hand, not formed into a dodecahedron. The fact that this device can be used to make a glove, as partially demonstrated in the video (they didn’t demonstrate how the palm was woven), does not mean it was ever used that way. I can use a hammer to eat spaghetti but that doesn’t prove a hammer is an eating utensil. 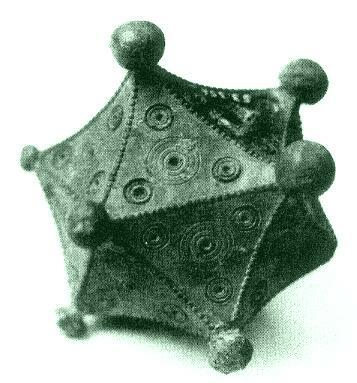 And we have this example of a very similar object, with high probability it was used for the same function, which is an icosahedron (20 sided) device with knobs as well. But it has no holes on most sides so it could not be used as a loom. But yet, if you read my blog post, you see it does function correctly as a spherical curve gauge useful in carving spheres in the exact same way the more classically shaped dodecahedrons are. Likewise, I find this drawing of another one, that has 3 balls on each corner, instead of one. Again, such a device would function just fine for measuring spherical curves, but would again, make no sense if were a loom. Adding the extra balls only makes it harder to use as a loom. Please just admit your bizarre theory about the thimbles being used for some astronomical purpose has failed in a spectacular fashion. It would be best if you just quietly removed your website and admitted your failure, instead of going onto every paranormal website on the planet, promoting your outdated beliefs. Bob, I don’t know if you are just crazy, or don’t know how to use this web site. You posted your comment in reply to me, but yet I’m not the guy with the astronomical theory. If you are going to rant like loon, you should get your facts straight first. It could represent the separate divisions of the night sky. A type of compass that uses your position ,combined with the stars coordinates. Fascinating! I’m with the majority here that agree the Roman Dodecahedron was used for knitting gloves. As far as the negative comments on usefulness, or sizing, you guys like the scientists are applying your 21st Cebntury thinking to the use of a 2nd Century artifact. The glove produced by Martin Hallett, (the man in the video) was loose and ungainly, like one knitted by a neophyte knitter. Add some 2nd Century homespun sheep’s wool yarn and a few years’ experience, and I bet you’d see a better product. As much as I like the the astronomical, pole gauge, and shelter joint theories, when you apply ‘Ockham’s Razor’ principle the glove-knitter doo-dad wins hands-down. You **cannot** make a finger on a glove with only 5 stitches be a decent finger. It was loose not due to him being a novice…it was loose due to only having 5 stitches! Enough! Next you Bigfoot kooks are going to claim it wasn’t even a Roman knitting artifact at all, but an alien implant attached to a crystal skull found in the ruins of Atlantis by the Moth-Man. Here’s my blog post about the possibility of it being used as a spherical gauge for carving balls of 12 different sizes, such as stone ballista balls. Hi Curt, When I saw the first ball I immediately thought it might have been a drawplate for trichinopoly, but having now seen the second example you provided on your blogspot, I would concur that you are probably correct. Your example provides so much more sense and practicality that the gloves idea, or indeed anything relating to fibre arts. As a reenactor, and having had experience with both fibre arts and with carving techniques, I can immediately see the validity to your argument. I’m with the Ball Gauge guy, though a Ballista uses crossbow bolts. There are tonnes easier ways of making gloves, and its too well made for bodging frames. Still looks like a die to me. Ockham’s Razor – simplest idea. Much simpler than a glove knitter. Could be some sort of game piece. That idea has been suggested. However, as a die it has the problem of being unbalanced due to the large difference in the sizes of the holes making the probability of it landing with the large hole up much higher than landing with the small hole up. In addition, It’s been claimed that the knobs on many of these are not that strong and would likely break off if rolled as a game piece. Not to mention some of these are rather large, like a large orange. That’s a very big, and expensive piece to carry around with a marching army just to play a game where the device is rolled like a die. Why would a soldier elect such a huge piece if something the size of playing dice could be carried so much easier? If they are going to carry something that large, it’s likely a tool needed in war. I recon it looks a lot like a tool for shaving a split timber shaft into a round pole. You first split a bit of timber that’s just larger than the size of one of the holes, then jam that on the top. The knobs give you something to tie a bit of rope around so you can pull it down the length of the shaft. The holes decrease in size so you can shave the pole as small as you want. The holes don’t even need to be sharp, just a square edge will work. Anyway,…the the 2-cents worth from a woodworker! Hard to beat a spoke shave or draw knife or a just a hand knife for carving a pole. Hard to believe they would carry something so large and specialized around which only has the one purpose of carving a pole. If it were needed for making weapons, like spears or arrows or ballista arrows I could accept this as a possibility. But to be honest, I can’t believe such a tool could actually be used for shaving a rough branch down to round. Such a tool, because of the perpendicular edge, could only act to scrape the wood down, not shave off pieces like a knife. The holes are far too different in size to allow the tool to be used in successive passes. Once the pole was down to fit one hole, the next hole would far too large to be able to draw down over the pool. They have about 1/8″ difference. You can’t scrape a 1 1/2″ diameter pole down to 1 1/4 inch in once pass. It would just stick and not move. If you used the larger hole to scrape it down below the size of the hole, then then tool is really not acting as a hole gauge and is instead just a random curved scraping tool — a spokeshave or draw knife would be just as accurate and far easier to use and much faster since you can shave off large amounts with it, and not just scrape small amounts. carving a pole would be a simple skill and not one needing special tools. Here’s an example of what’s possible using only an axe, a hand knife, and a saw to hand carve a nice axe handle. Carving a straight pole would be easier. There’s really not point in carrying around a large odd complex and expensive tool when the standard tools you already have can get the job done fine without it. This would be useless as a sort of knitting loom/knitty noddy, etc. The balls are an inconvenient shape, they are too far apart for any useful tension, and if you want a knitted tube that size, doing it on your hand would be light years faster. (called finger knitting, as opposed to finger chains). There is no way gloves with that tension would be of any use. The Romans were way too smart for this to have been for knitting. During the period that these are dated to, there was a common technique called nalbinding, that made a shaped fabric, often confused with knitting (it’s got more in common with 3-D hand embroidery). They made socks and mittens with this technique, and they were dense and well shaped. No way would people with that ability use these things to knit! i absolutely agree with you. there are too many methods that are quicker, easier, cheaper, and produce better gloves, and better material in general. Whatever this is, I sincerely doubt it had any mystical purposes or symbolism whatsoever. The ancient Romans were exceptional engineers and a practical people. The odds are strongly in favor of this being used for some everyday, mundane purpose. The object looks as it does simply because of the dictum “form follows function” and for no other, metaphysical reason. I still believe it was used with string or thread and the few pegs merely indicate the gauge of the string or thread used was quite thick (the thicker the string, the fewer pegs needed to create a specific circumference of a tube). Yeah, I have to agree that it doesn’t look to me to be a mystical or religious object. A simple dodecahedron with some type of marks on it could a religious symbol, but becuase many of these have been found over a very wide area, and they are are all somewhat different, but yet carry the odd studs at the corner, and most are covered with very a range of hole sizes, it strikes me as far too complex an object to carry some religious significance. Religious symbols tend to be highly simplified and symbolic, like a cross, or star of david. And if it were religious, there likely would have been context or references to it in religious texts or art. I think it’s highly likely to be a simply functional tool, which was used for a while, but then replaced, and forgotten with the down fall of the roman empire. If it was a good tool for glove making, why would such a tool die out, with the roman empire? If it were a tool for weaving, or working with thread or yarn, why would its use die out? One has to wonder, why they are so clustered, and were not more widespread through the Roman Empire. Yes, gloves are more needed in the colder climates, but yet, the weather commonly gets down to freezing temperatures in Italy. Would not a single glove every need to be made in Rome? If this was a tool for other types of work with thread or yarn, would not it have spread to the captial of the Roman Empire? My speculation is that it was a simple tool for measuring curvature likely used in the stone carving of Ballista balls used for siege warfare. This type of ammunition was not made in Rome, and taken to the front lines of battle. They were carved at quarries near to where the battles were taking place. They weren’t fighting battles in Italy, so even if these devices had been made in Rome, they were given to the troops to take to the front lines of the battles. If it were a tool used in war like this, it would explain why so few of them were found. The army would have included only a very few stone carvers for making Ballista balls so only a small number of these tools would every have been needed. Likewise, the carving of the stone, would be something that would not as likely to be well documented as the actual fighting of the battles or all the more common crafts, like hunting, and eating, so it can explain why no one has yet found any reference to these objects — there were a very special tool for a very special and limited application. Likewise, these devices look like they were be very expensive to make back in Roman times. Who could afford them, if their only use was to make simple gloves when there are ways to make gloves without such a tool? Only if this tool made gloving making a lot faster would it justify such an expensive tool. A tool of war however, that was key to making high quality Ballast balls, could easily be justified in the small numbers needed to support the armies of Rome. I don’t know much about the history of the Roman Empire, but if it can be determined where they most commonly used their Ballista’s in battles and when, and see if there’s a correlation to where these artifacts have been found, it could be a useful indicator. In addition, round balls are not commonly needed for stone architecture, so these would not be general stone carving tools — only specialized tools for war. Likewise, I saw a reference that included Rome replaced stone carved balls, with concrete balls at some point. If they were making concrete balls, they wouldn’t have needed these tools and the art and tools of stone carving the balls could have faded from history. If the age of these artifacts, matches the use of stone, vs concrete balls, that would be yet another good factor to check to add strength to my hypotheses. If these were simple common textile tools, I don’t understand why such a complex and expensive tool would have shown up in history, and they died out without a trace. If the use was valuable enough to justify the complexity and cost of these pieces, why didn’t their use continue to expand instead of being lost to history? “Nouwen reports that in merely 9 times, the archaeological context is known and with 33 specimen, they do not know the place of origin. Some websites give some vague information. In other words, where the archaeological context of the device is established, most were in military camps. Why would a loom for making gloves, by mostly found in military camps? If it’s a spherical gauge, for carving ballista balls, as I speculate, it fits very nicely with being found mostly in military camps. Which verifies they were being carved as needed to improve their roundness, and it also can help explain why 3 dodecahedrons were found in rivers if that was a common place they were being used to carve stones found in the river. I agree it had to have military use.. and not just for carving projectiles . Everyone would have needed a way to sort random projectiles by size too match them up with the proper weapon. Since this little jewel has 10 sides with ten holes, which by the way on each side mirrors the side opposite, and figuring they were largely found in military compounds, but other combative situations as well, could the holes have been to place fingers and thumbs in, with the knobs being used to tie the fingers securely to the ball, and thus make it virtually impossible for a captive to get away? Placing the arms around a tree would insure that the captive would stay there until released. Just a thought. Didn’t Roman soldiers use Bow and Arrows? A knitted glove of leather strips would protect the fingers pulling the bowstring, and would not need to cover the whole hand-like the glove in the vid above. 12 sides. 12 hours in a roman day. 12 differents holes, 12 hours of different lenght in summer or winter. Coincidence? 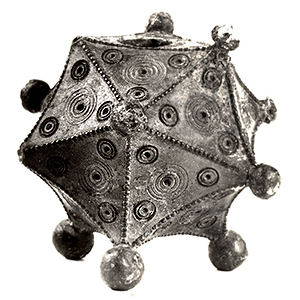 Roman Dodecahedrons were used to thatch sticks or poles together for temporary shelters, tents. The sticks would go into the holes and the knobs would aid in tying the sticks together further securing the connection. With just 3-4 sticks and a canvas, the device could be used to set up an individual shelter with the dodecahedron at the top of a tee-pee type structure. With multiple dodecahedrons, more complex rectangular shelters could be quickly built. Interesting! 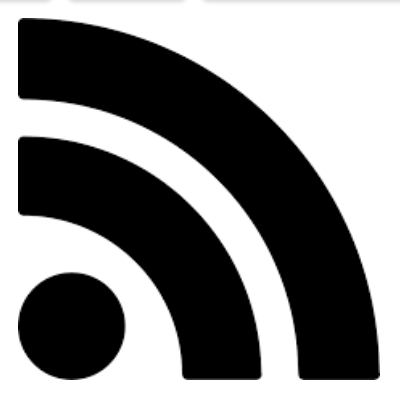 Would you happen to have a link referencing this? Since it was brought up how useful it would be to make a good spherical object, the most likely explanation would be for sling stones. Both to round off river stones, and to make rounded clay bullets. Since sling stones varied in size for different uses and distances, it seems to make perfect sense, especially with the majority being found in military camps. Would also explain why they would make something so expensive and durable, because you would have to use it thousands of times most likely, and having accurate weaponry makes you much more likely to be successful in war. While it’s a cool theory, the glove thing just doesn’t make a ton of sense, because of the awkwardness, huge cost, and very loose knit. Why would you waste so much time and energy to make a crappy glove, when there are a ton of easier ways to make much better gloves? It just doesn’t seem to add up. 1) The Romans didn’t have knitting. As far as we know, knitting as it’s known today was invented in the Middle East in ~1000 CE. 2) They did, however, have nalbinding, which they used to make socks with separate toes; if they wanted gloves, that’s how they’d have done them. 3) We have no evidence of knitting nancies earlier than the seventeenth century. 4) If you’re going to use something as a knitting nancy, you want pegs with slight swelling at the ends, not inverted cones or spheres, because bulgy pegs make it significantly harder to form the stitches. 5) The dodecahedrons range in diameter from 4 to 11 cm. Four centimeters is about an inch and a half; I don’t know who could wear gloves that size, but it wouldn’t be an adult. Are you really planning to put separate-finger gloves on an infant? 6) Why make a complicated, expensive, heavy metal knitting nancy when a wooden disk with nails pounded around the hole in the middle works *better*? 7) Stuffing the completed bits into the center of the thing is stupid, because it leads to things being all mashed up and hard to move. 8) Your fingers aren’t all actually set on one line. 11) How exactly does one make the “body” of the glove? 12) The primary reason they think it was for gloves is that the holes are different sizes. However, the holes have no effect whatsoever on the size of the stitches; that’s all about the spacing of the pegs, which is the same all around. All excellent points Carrie S.! This theory is far too weak to take seriously. I just figured out what they were used for last week. I will post my results in a few weeks with a video. So simple, I just need access to something I don’t have to prove it. I have an idea that would fit in with them only being found on military sites. There was a type of stick called a scytale that was used for encrypting and decrypting messages, A strip of parchment was wound around it and written on and then sent to someone that would decrypt it in the same way with a similar stick. You would need some way to ensure that the sticks were the same size and this would be suitable. What about leather whips? Could you make a long tapered tube with the object or a tube inside a tube?… Just a thought. Unfortunately, none of these theories works. The glove-knitting theory at least explains the knobs and other features the other theories don’t explain. Perhaps they were used with cords or string. But clearly the devices were inadequate for knitting decent gloves with any kind of speed. They couldn’t have been used to carve stones to be used as larger projectiles, as they are way too small and the same function would have been better served by a simple wooden bowl and a proper stone-carving tool. They wouldn’t have been used to form smaller sling projectiles, because those were cast (unless soft stone was available) and usually not round. The tent theory accounts for a few facts but unless it can be shown that the angles between the holes match what we know of Roman tent design—and unless the little knobs can be shown to be critical to this solution—it’s just an idea. And none of these theories explains why some of them are so attractive. An officer that had a nice one would not have used it for carving ammo and would have had a servant to properly make or repair his clothing. Hey Gus dit you try to make socks with a bicycle using the same method? It is for making a leather whip. Whip needs to be fat on handle side and thin on other end to move energy to speed. Also the wax found from some items favors this theory. It’s found in colder climates, it’s porous, it’s metal, it’s decorated with bubbles and circles and it can be quickly distinguished by someone with poor sight. Little is known about it because it is domestic rather than medical, scientific or military. It looks animated to the degree that it is falling through water with a purpose. I conclude, this is a water heater for bathing. A big shout out to my fellow atheists. We have a easy to grip cast metal object with bubbles and circle on all sides of it that’s penetrated and made hollow with multiple large holes and sometimes just a single one, used ubiquitously in the colder climate of the Roman Empire and no treatise on its existence…. Hmmm? What we have here is a therapeutic bath water heater. The holes are to move it when it’s hot and to prevent buoyancy. The bubbles or knotted corners are for wet handling and quick retrieval via braille identification. The cast copper is superior for heating and durability. The artsy symbolism is of ripple and bubbling hot water. It lacks a treatise because is neither military, scientific nor medical. It is domestic and this is why it was prevalent. Weave shmeve glove schmove, these things were amo for the catabalista. Expensive yes but very psychoactive. Empty they would emit a horrible shrieking sound that would vary, horribly with which face, or faces that were leading aerodynamically . Perhaps even warbling, the same fear factor would rival the sirens of the Stucca dive bombers of the NAZIS. The differences in size and weight would multiply the effects by exaggerating the range capability without adjusting the range setting of the weapon. Filled with a woven fibrous filling they could be soaked with a long burning incendiary and used to set fire to walls and buildings of an opponent in a siege situation. As found in Gallic venues perhaps they were used in sieges like the one against Vercingetorix. If used as an incendiary device the ball shaped appendages would allow the projectiles to stick to a fortification wall like Velcro, causing the incendiary stuffing to continue to burn until the wall was fully ignited. Since only found in selected sites their presence might identify the more famous problematic battles of the Romans. Owing to the expense of the weapon. perhaps they were often retrieved, post battle, and reused many times owing to the limited discovery. Adding to the weapon theory is the fact that to this day the geometric dodecahedron is the basic shape of the TNT shaped charges around the fissionable core of an atomic weapon. What everyone is overlooking is all these objects have common craft, but it is the gauge of the holes, especially those with a different gauge on every face that is the clue of what is hiding in plain sight… official coded messages. The dodeca objects assist with the rod size for decoding. It has always been a thing to hide decoders in plain sight to conceal them. Why such complexity given other ways to make gloves. I am a doubting Thomas. I personally think this objects are something to do with 12 zodiac sing .holes different dimension represent each zodiac sing through the 12 month of the year ! This Roman Dodecahedron! The shape is how the universe look like in shape ! Why Im saying this because is connected to the Egyptian culture. I believe they took the idea from (Egypt ). The reason they are to many found ! Roman believe that wearing them for good luck ! .